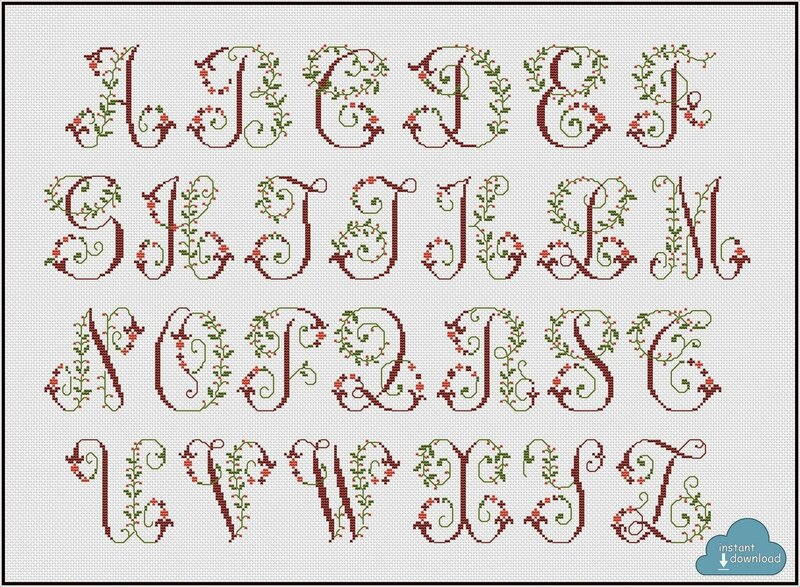 Vintage Floral Alphabet Monogram Cross Stitch Pattern PDF + XSD. Flowers ABC Cross Stitch Chart PDF. Instant Download.